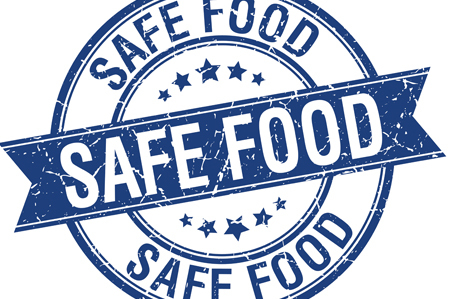 (Food Business News) – Instore deli, bakery and prepared foods departments must take their food safety programs to the next level and go head-to-head with traditional food service on meal solutions. Those were among the takeaways from Michael J. Eardley, president and chief executive officer of the International Dairy-Deli-Bakery Association, in his annual presentation to attendees at IDDBA ’18. Mr. Eardley began his speech by confirming what association officials projected coming in: that this year’s IDDBA would be the biggest ever. Blockchain technology’s role in food safety and transparency will be one of the most important industry developments in the coming years, Mr. Eardley told attendees. Ninety-nine per cent of consumers say transparency is important when it comes to fresh foods, he said. That’s a burden, but also an opportunity, for industry members. That’s often easier said than done, however, Mr. Eardley said. That’s where blockchain comes in, he said. With blockchain, a series of records, or “blocks,” is created as the production moves through the chain. Those blocks are time-stamped, linked together, and can’t be changed once they get linked together. With blockchain, suppliers and retailers have access to a level of “speedy traceability never seen before,” Mr. Eardley said. During his annual speech, Mr. Eardley also provided a sneak peek of the association’s 2018 round of research on “superconsumers,” which focused on both grocery and food service, since, as Mr. Eardley pointed out to attendees, retail food service purveyors need to regard traditional food service as their competitors. “Grocery is credible and uniquely positioned (as an alternative to food service), as more and more people learn what we have to offer,” he said. Mr. Eardley illustrated his point with a video showing a hypothetical consumer who is time-crunched and needs an alternative to fast-food food service. Grocery stores, with their plethora of options, could be the perfect solution, with a customized meal solution featuring items from meat, cheese, produce and other categories. Items could be chosen in advance on an app and the meal waiting for the consumer to be picked up at the store.